If you want to install LiveCode across a network and give access to multiple users, you don't have to install LiveCode on every machine and license for every user. Instead, you should use the Command Line installation and activation process. This is described below. You can use this procedure on both Mac and Windows, the example and screenshots given are for Mac, but the same commands will also work on Windows. Download tthe latest LiveCode from the your LiveCode account. 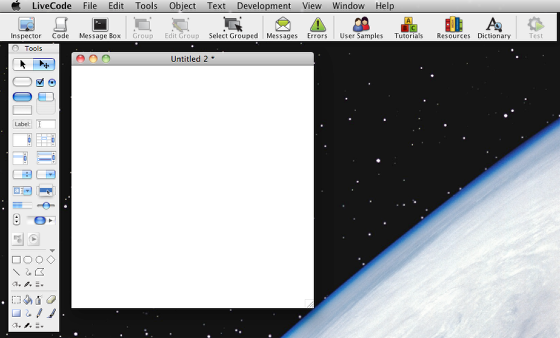 Here i am downloading the latest dp release, which is LiveCodeInstaller-5_5_0_dp_2-Mac.dmg. The .app file we used for installation is "LiveCode 5.5 (dp 2).app" . (*) allusers - Install the IDE for all users. If not specified, the install will be done for the current user only. (*) location location - The location to install into. If not specified, the location defaults to those described in the Layout section above. 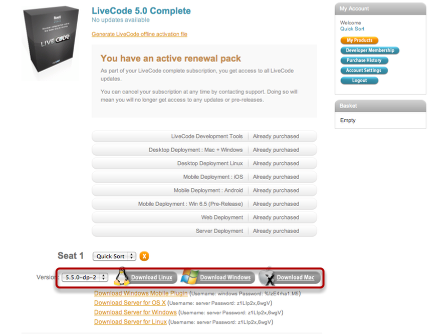 You should now have successfully installed LiveCode, next you need to license it. For this you need to use the offline activation file. First download the offline License file. 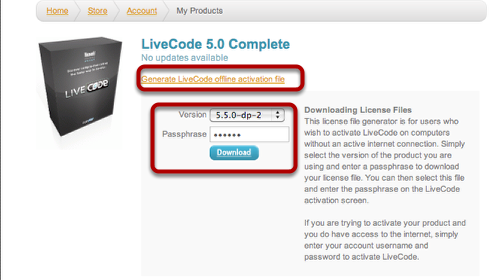 To do this, log into your LiveCode account and click the "Generate LiveCode offline activation file" link, then select the version number you are licensing for and enter a pass phrase of your choice. Once the file is generated, use the Activation file and Passphrase to activate the installed LiveCode version. This is the command I used, you will need to replace the exact version of LiveCode you are using and your passphrase (mine is "runrev"). You should now have both installed and licensed LiveCode correctly, using the command line, for the locations you have specified. Prev: How do I assign a license to another user?